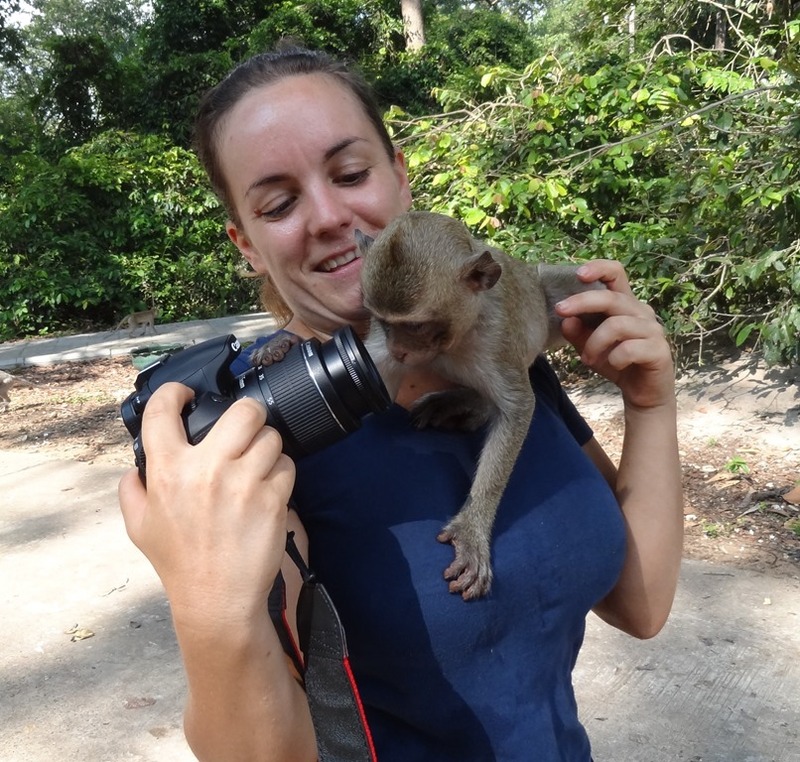 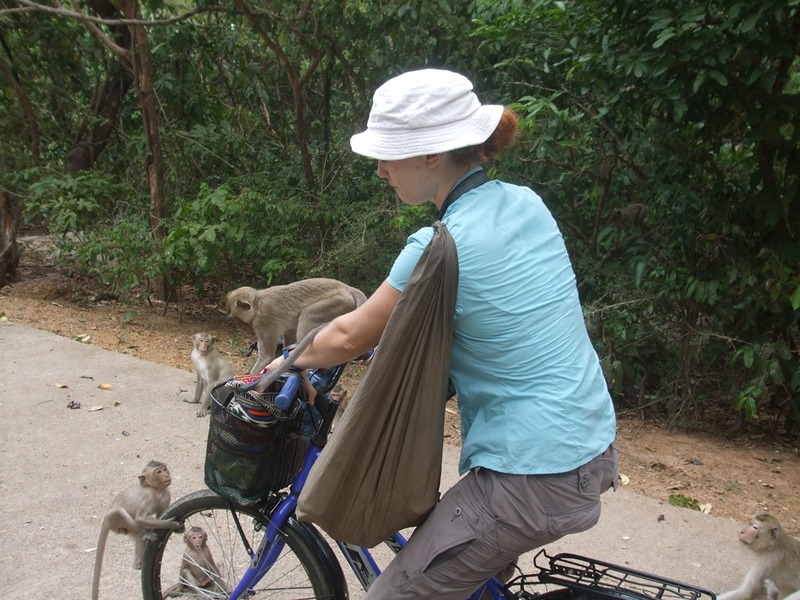 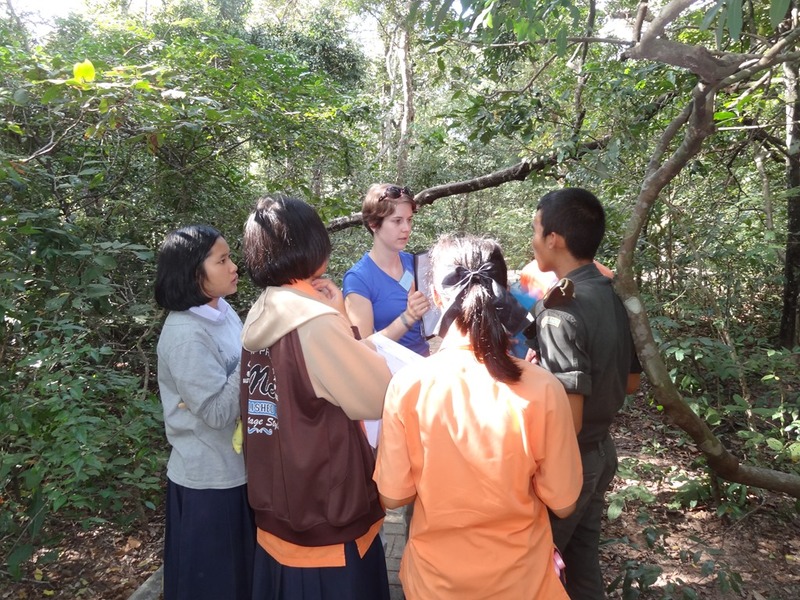 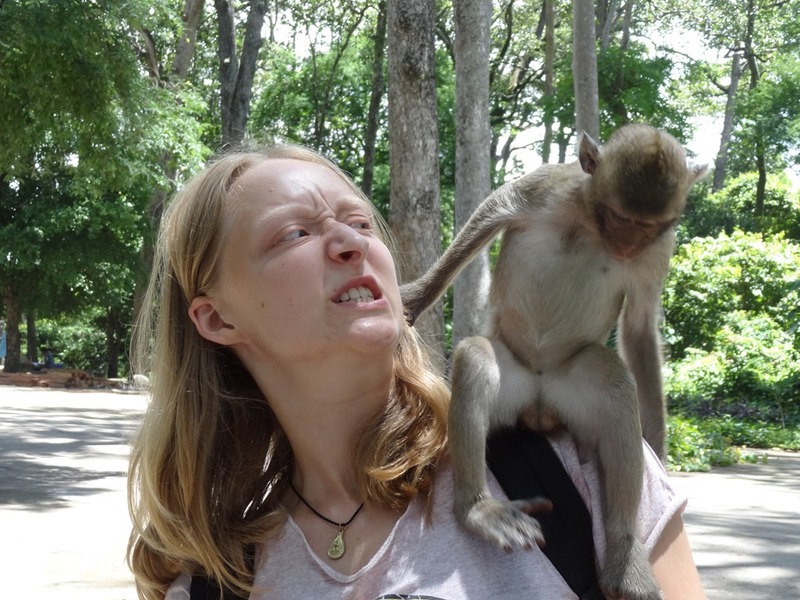 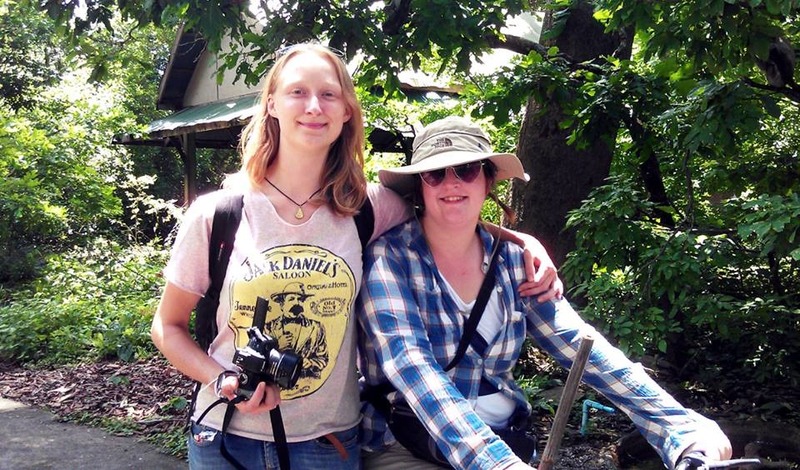 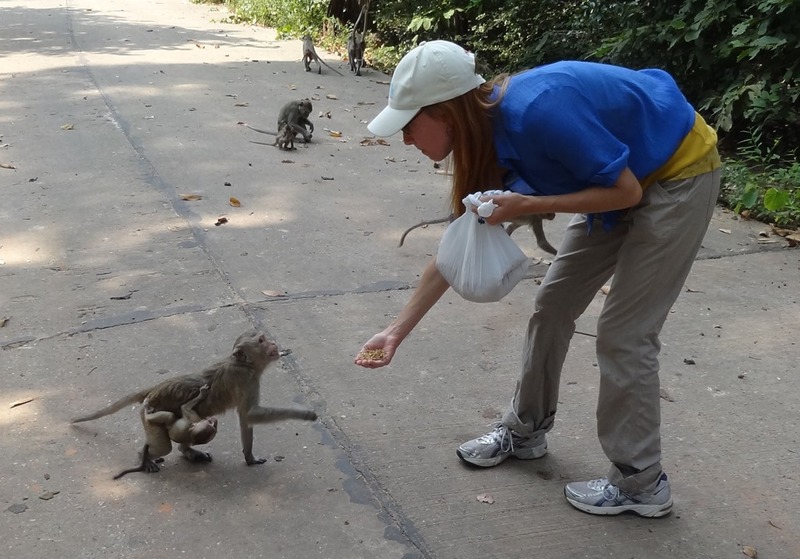 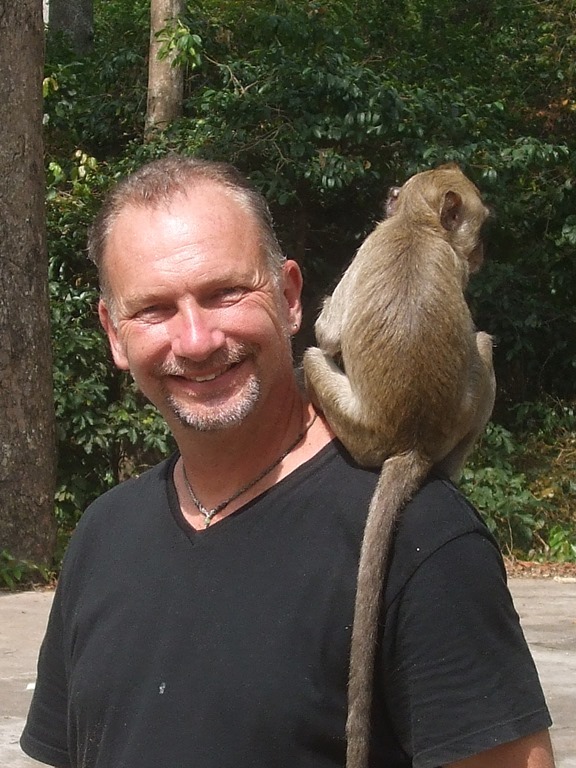 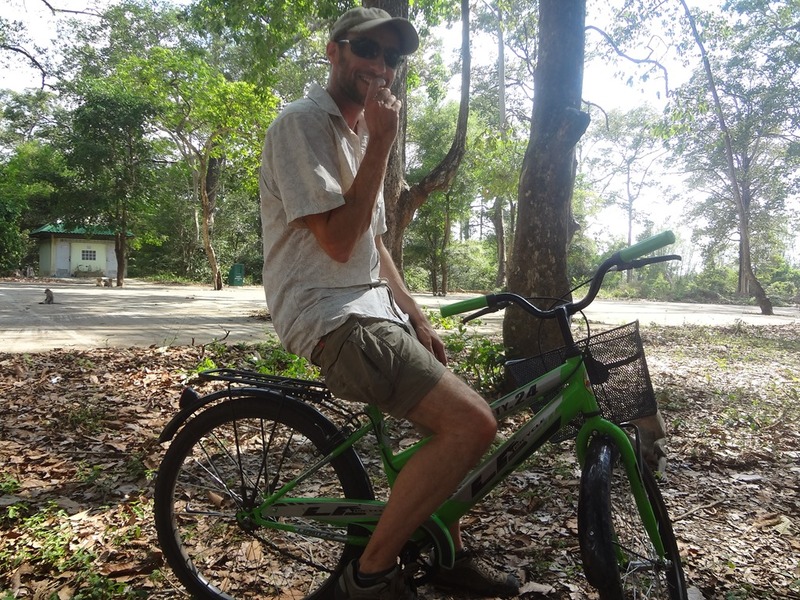 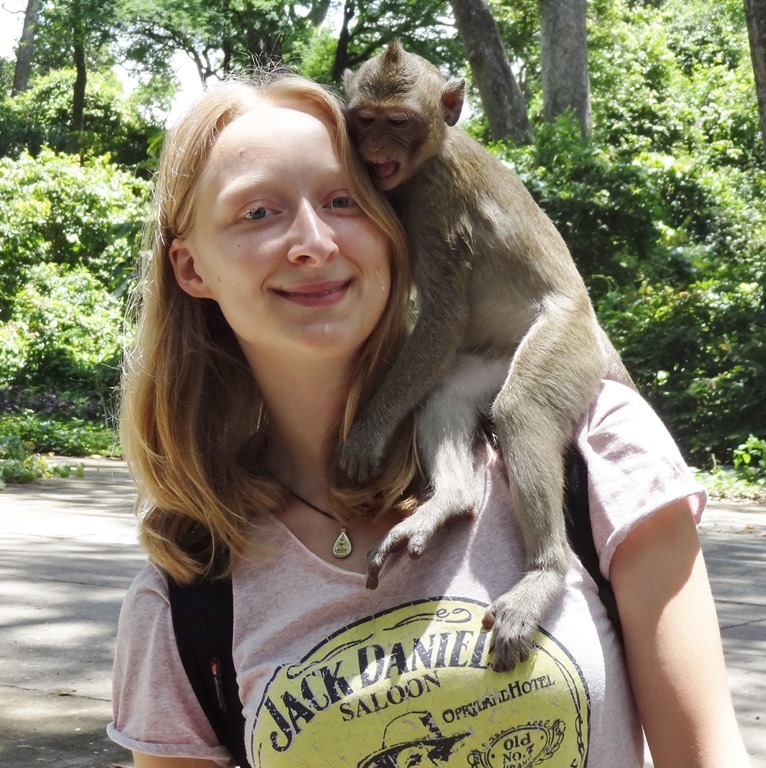 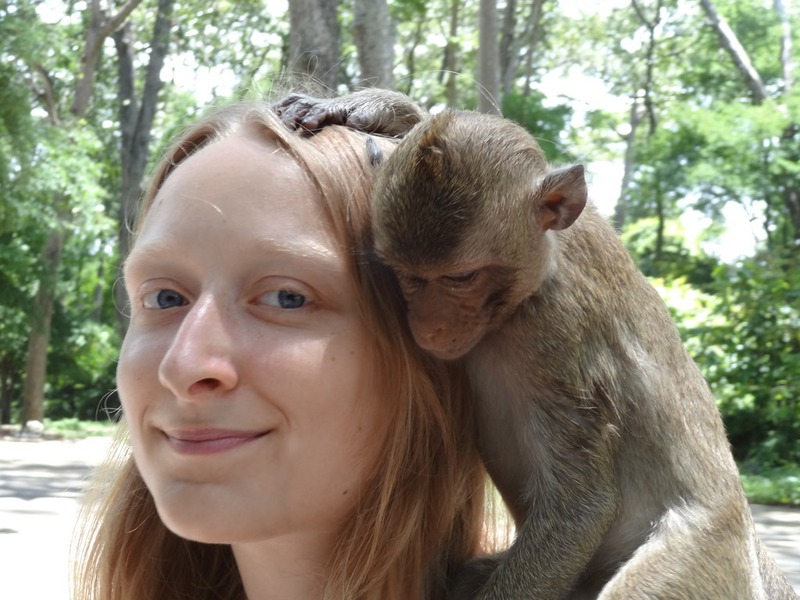 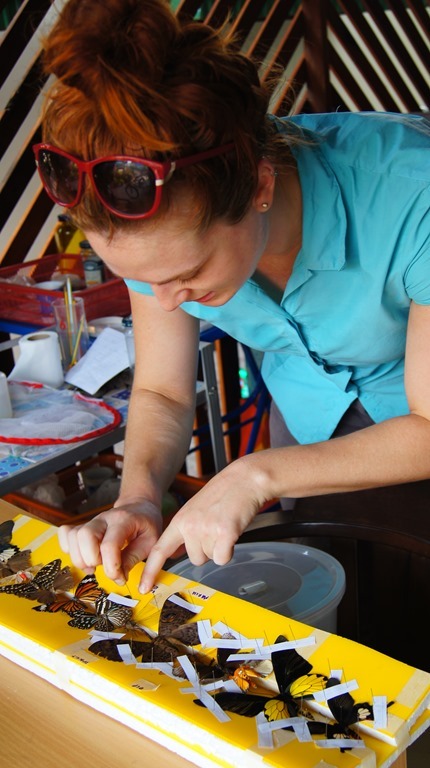 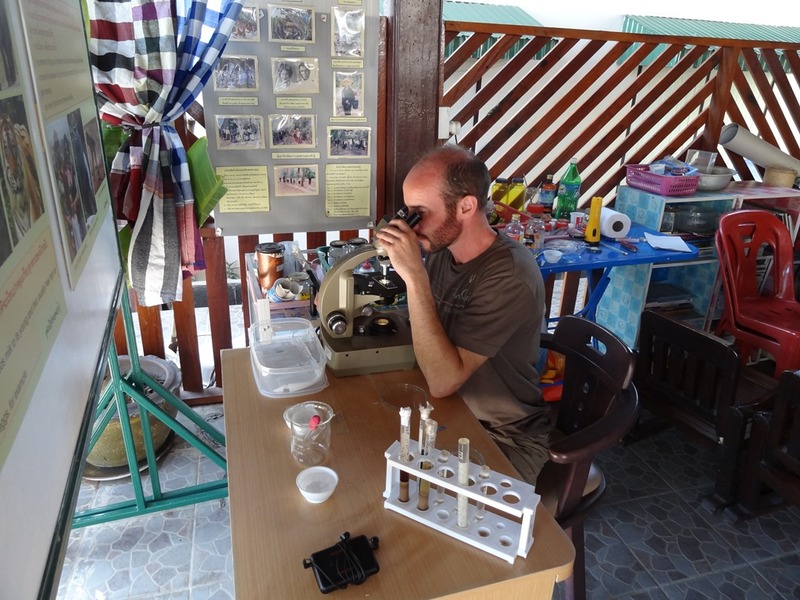 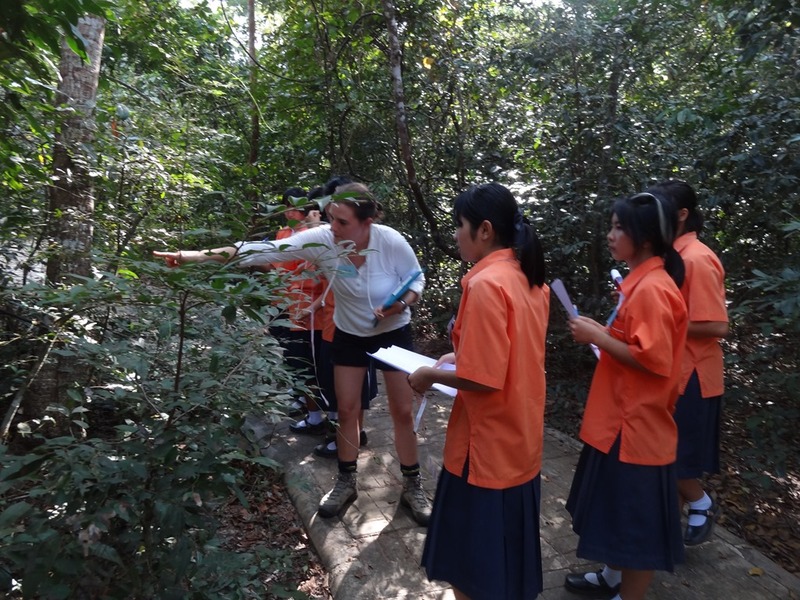 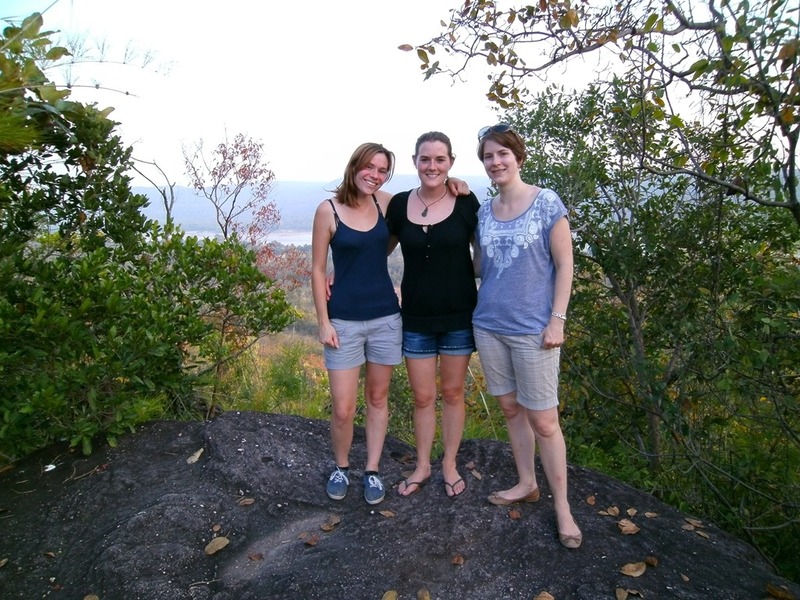 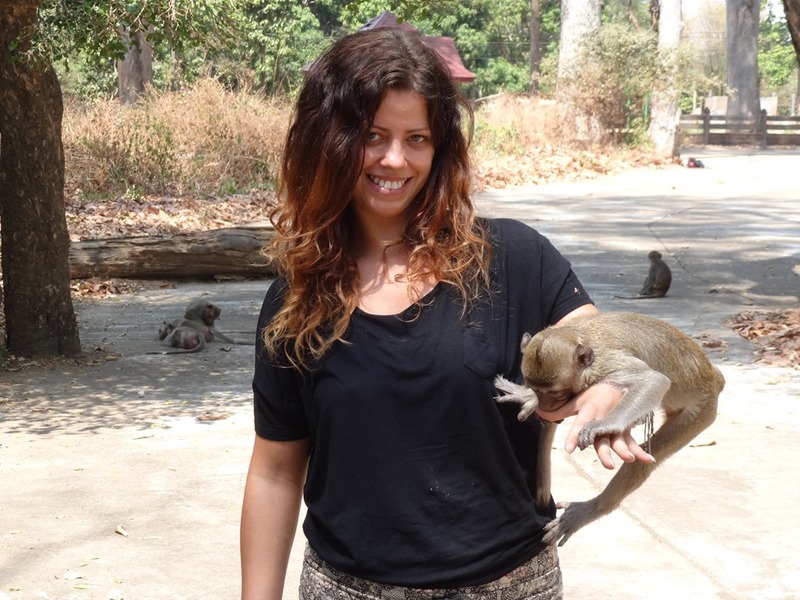 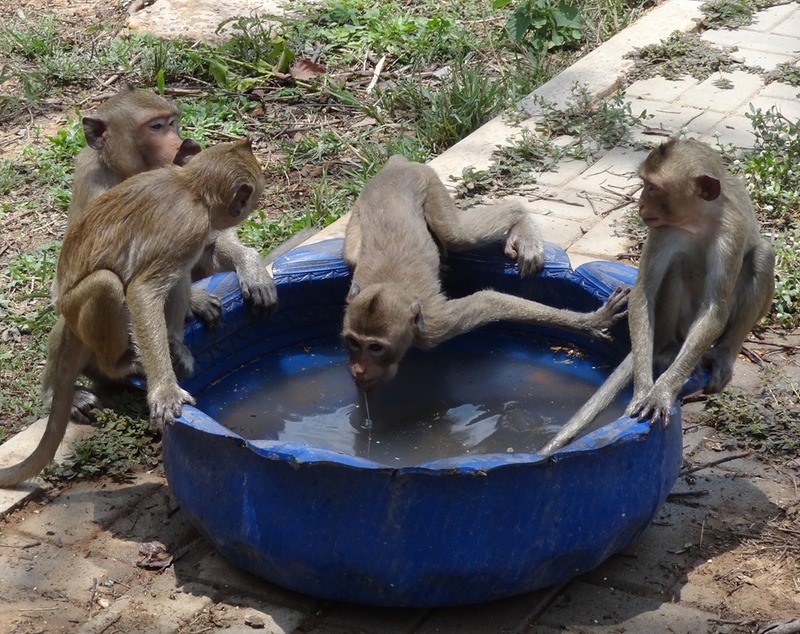 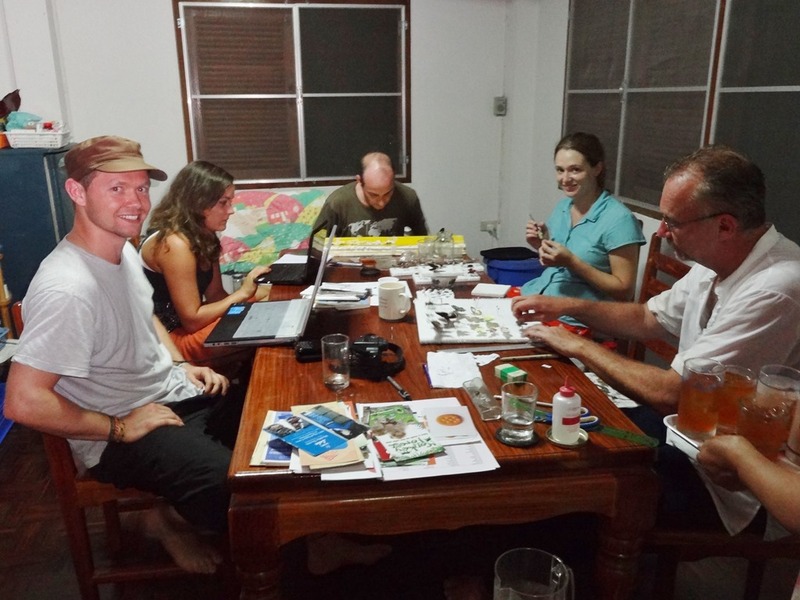 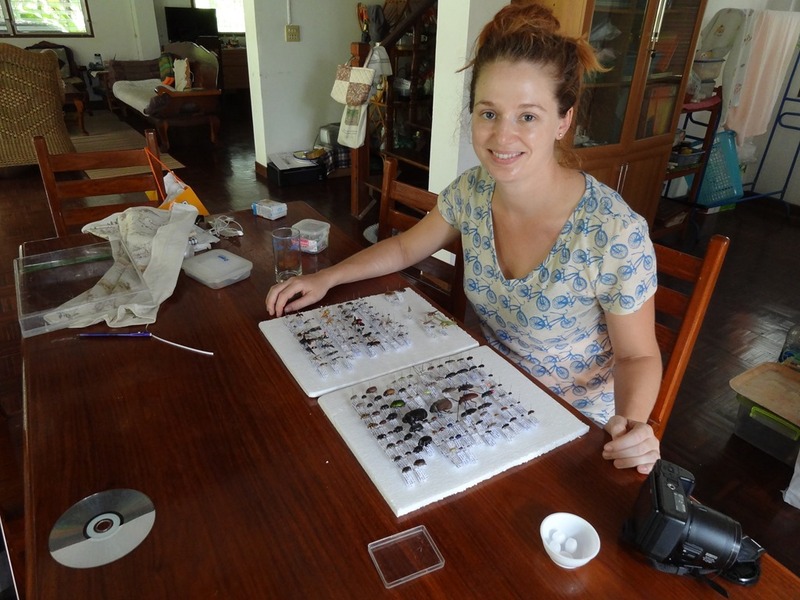 As 2013 draws to a close, the Phana Macaque Project (aka Phana Monkey Project) looks back at the researchers and volunteers who have made this a wonderfully productive year for us. 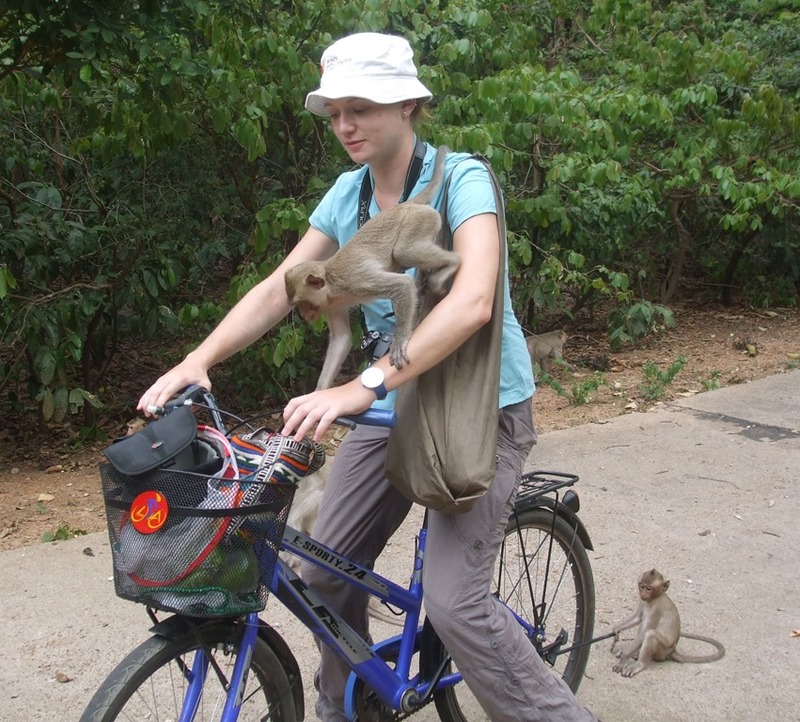 After the first four volunteer researchers helped us to set up the project in 2012, we started advertising for volunteer researchers on the University of Wisconsin’s PIN (Primary Information Network) http://pin.primate.wisc.edu/ site and in December 2012 we advertised for volunteers through http://www.worldwidehelpers.org/. 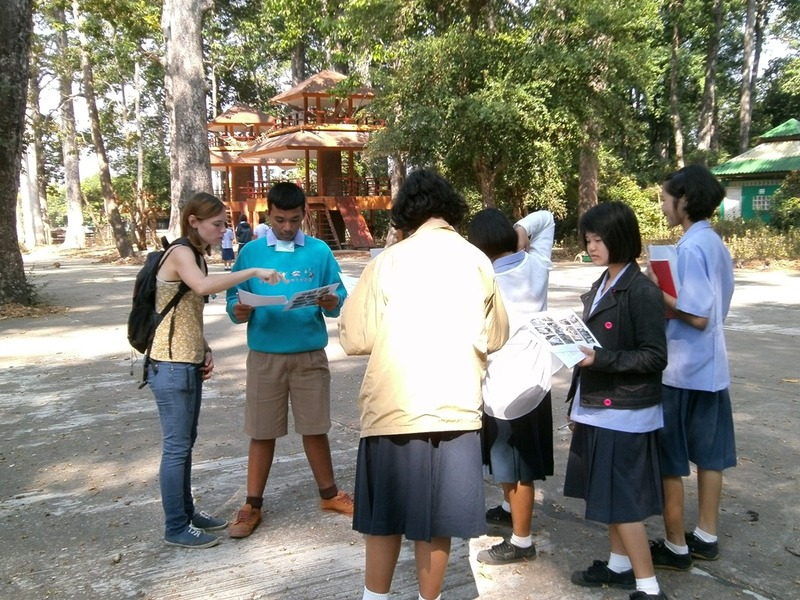 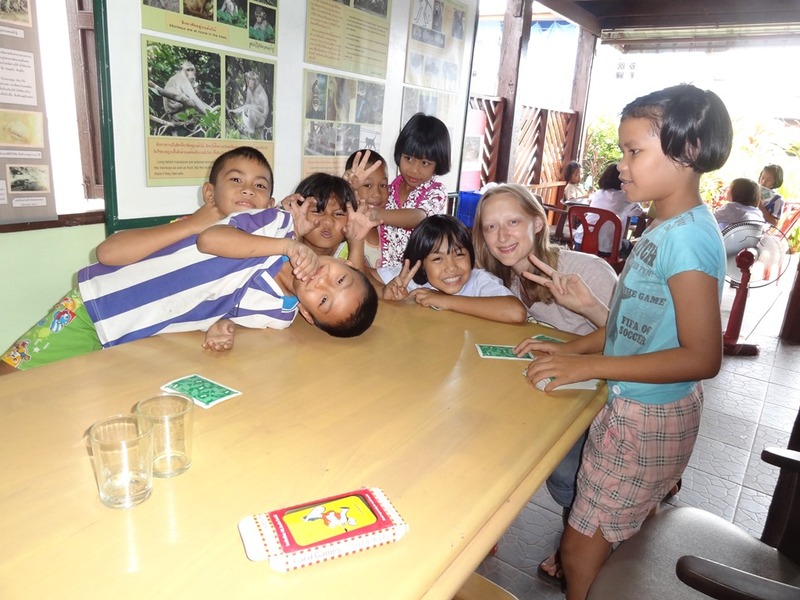 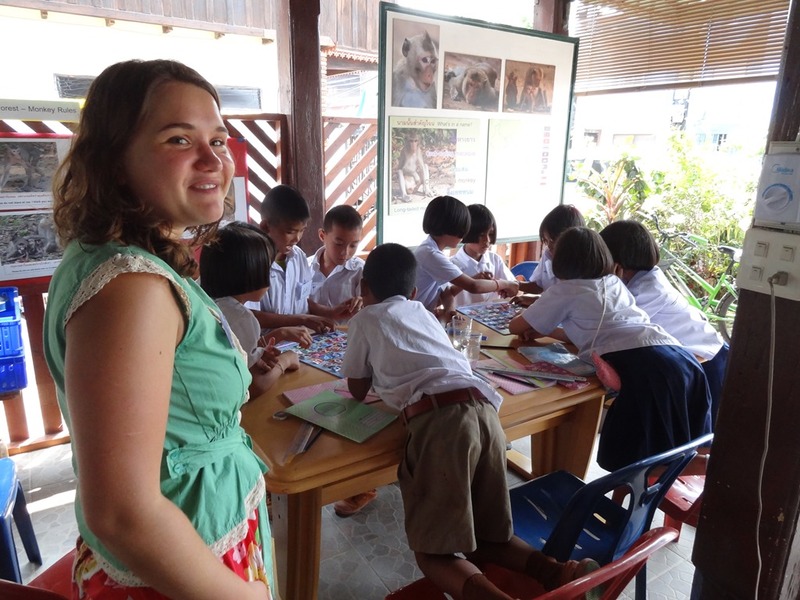 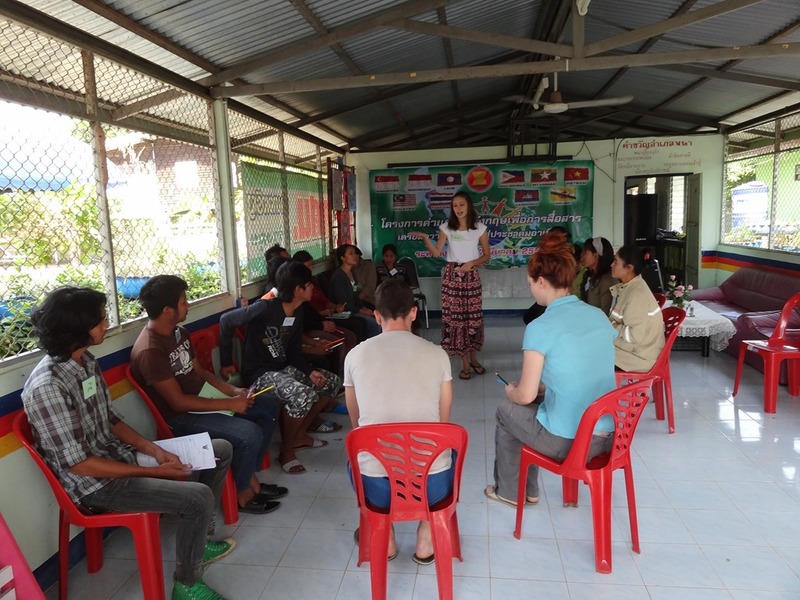 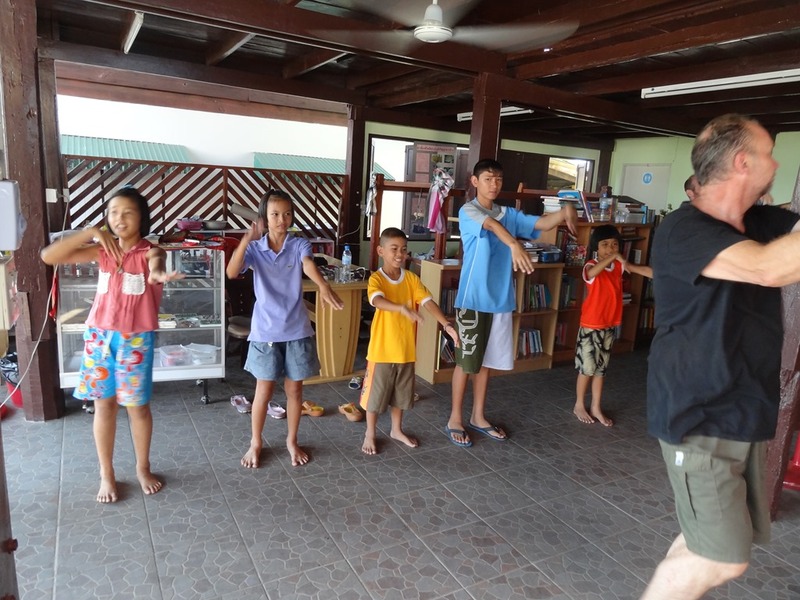 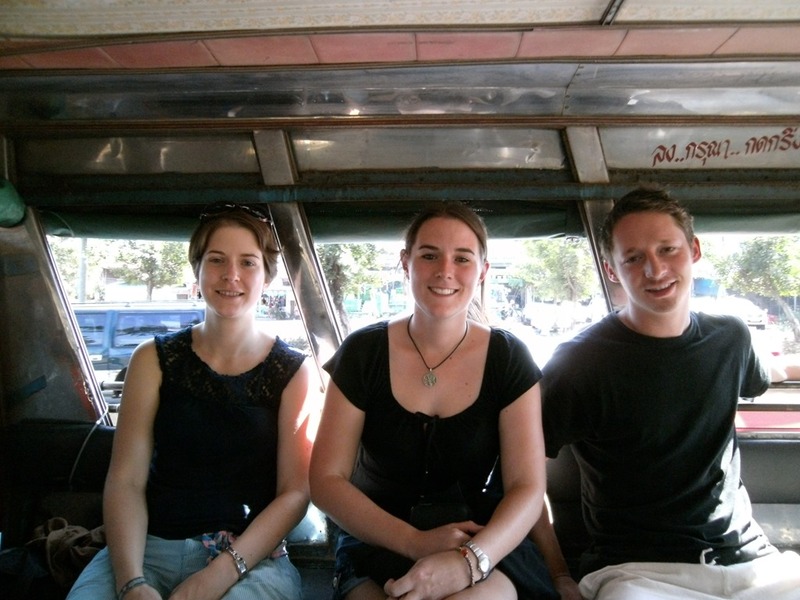 Midway through 2013 we added http://www.volunteerworkthailand.org/ to the sites where we advertised. 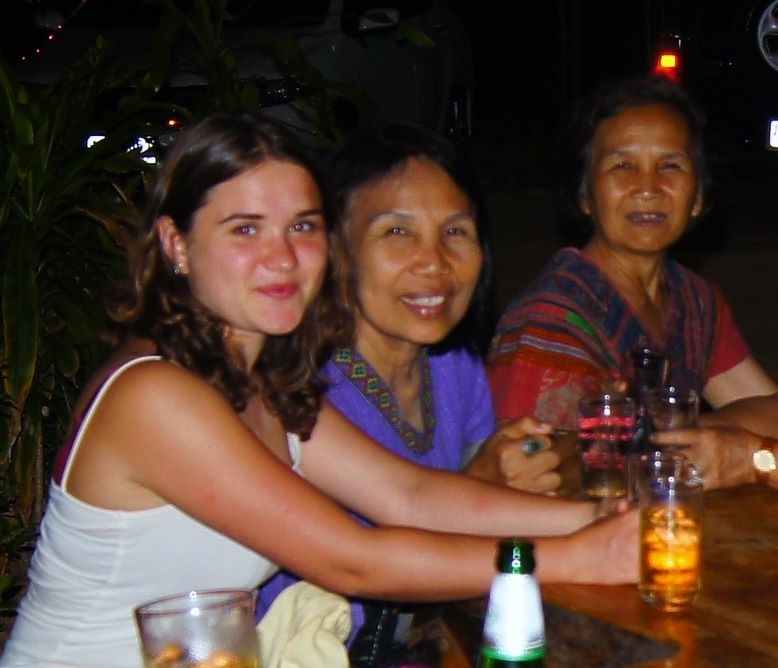 But it seems that our advertisements have been taken up by several other platforms, unbeknownst to us. 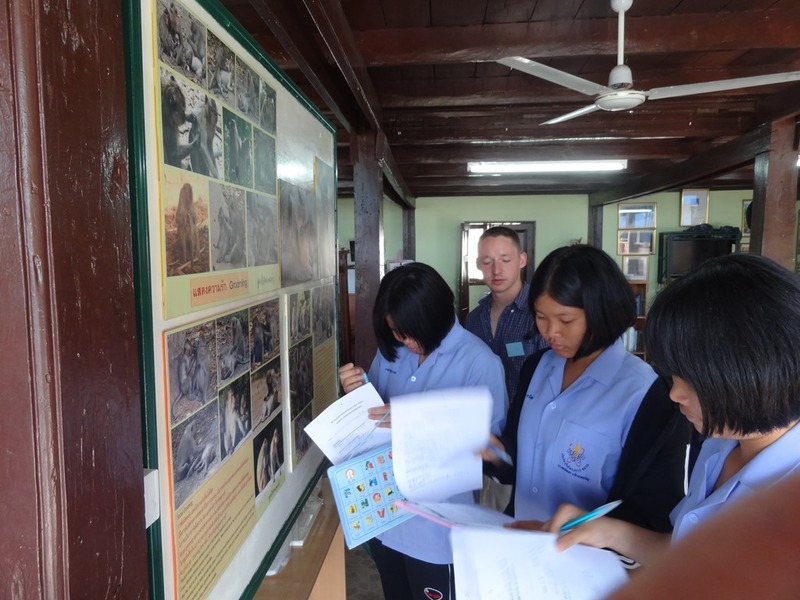 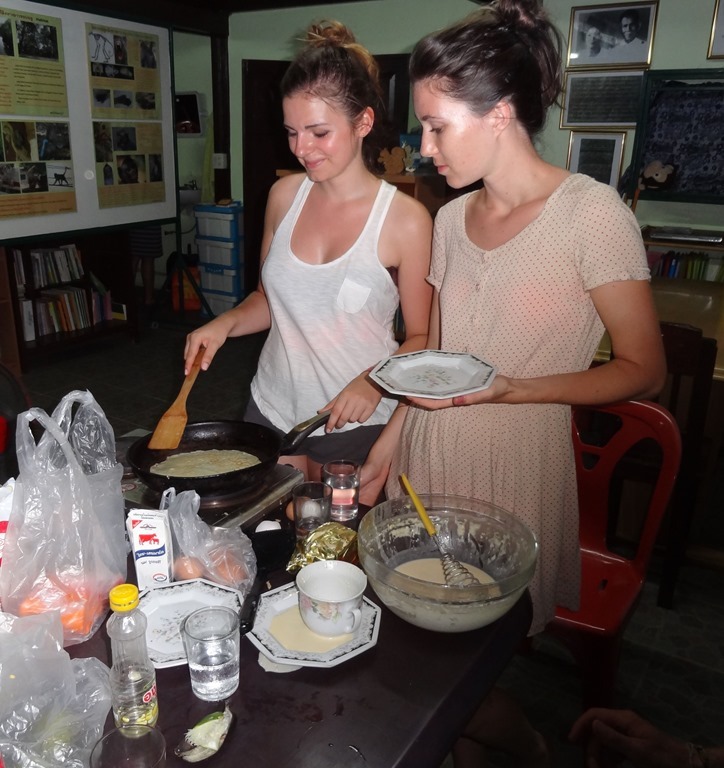 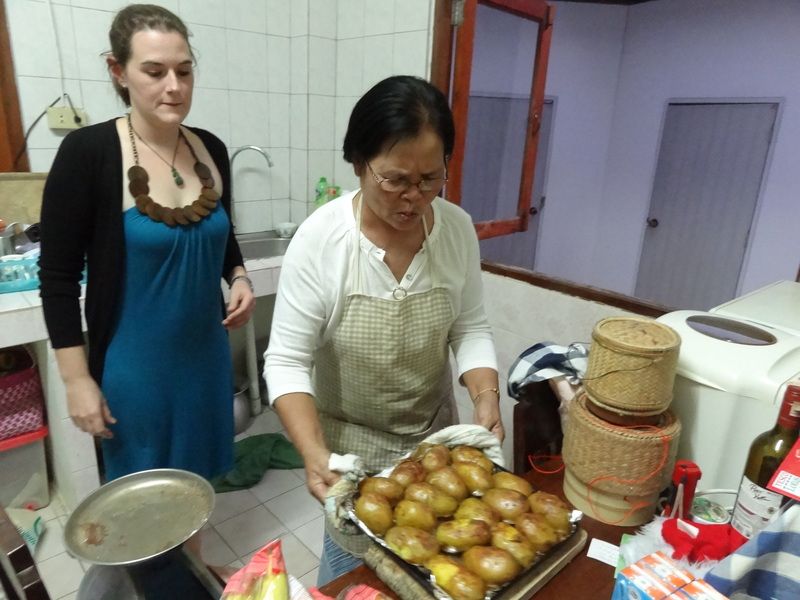 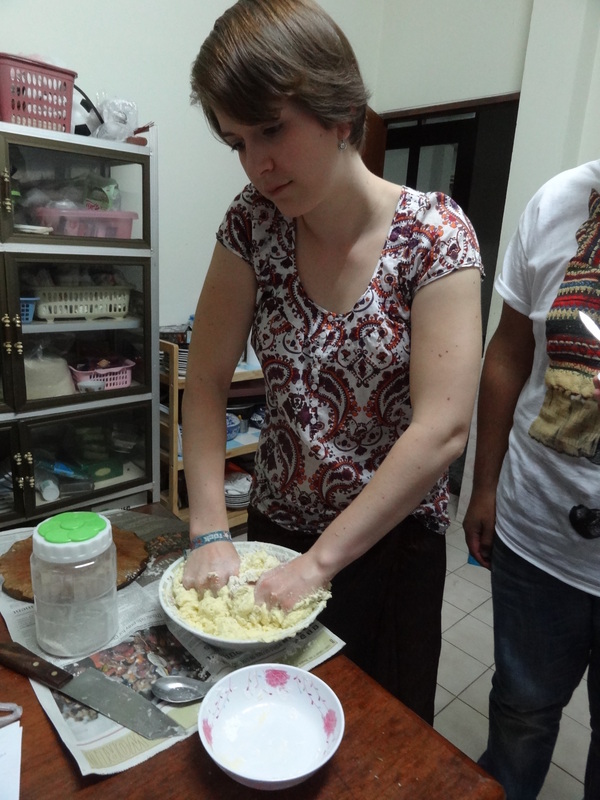 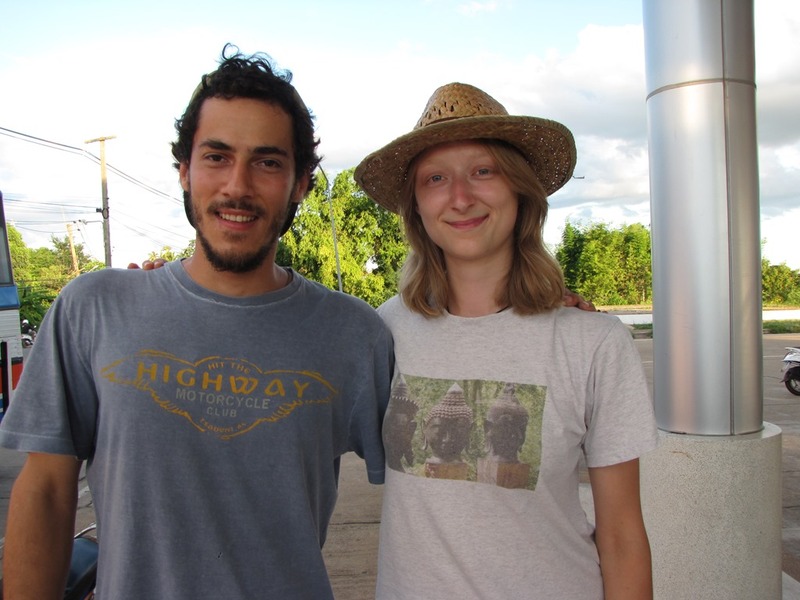 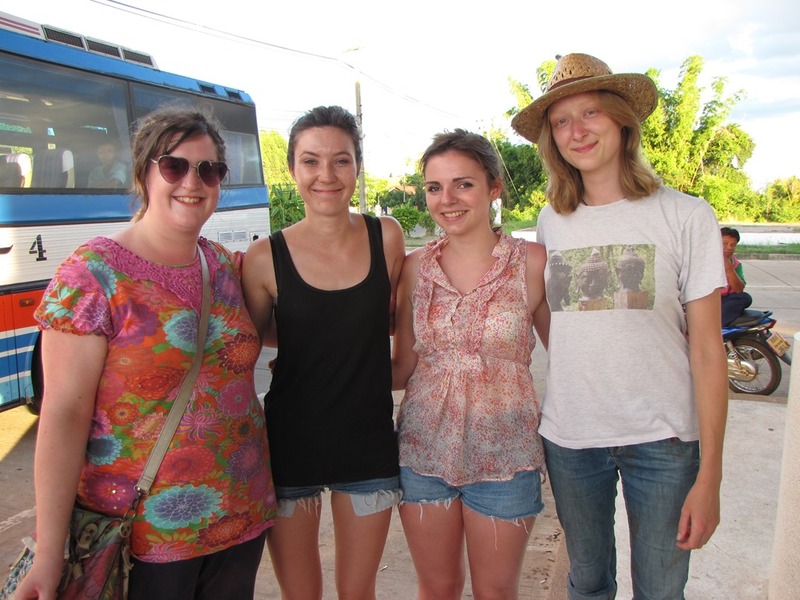 We have welcomed 24 researchers / volunteers in 2013 and they have stayed for between a week and three months. 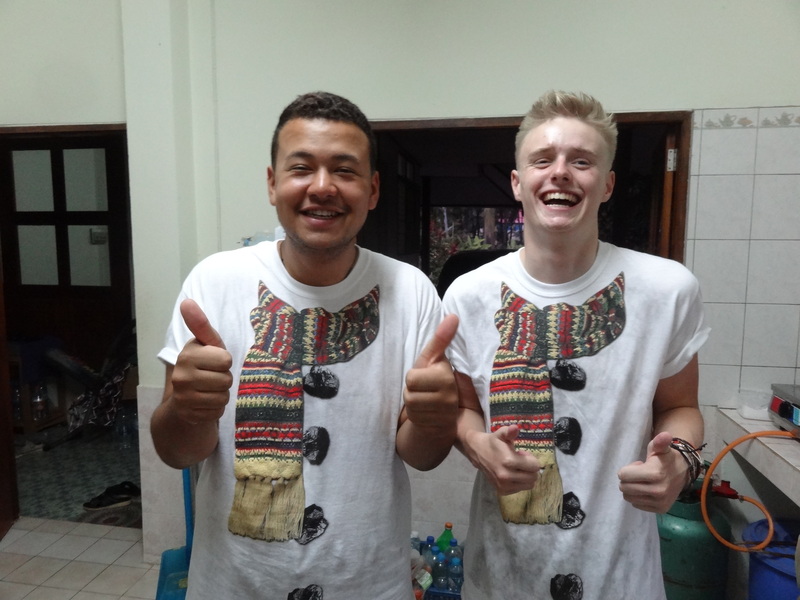 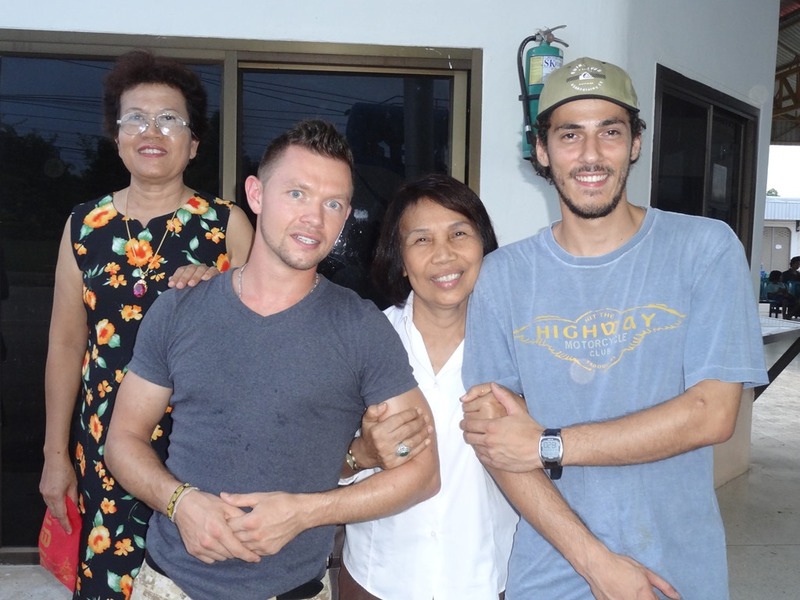 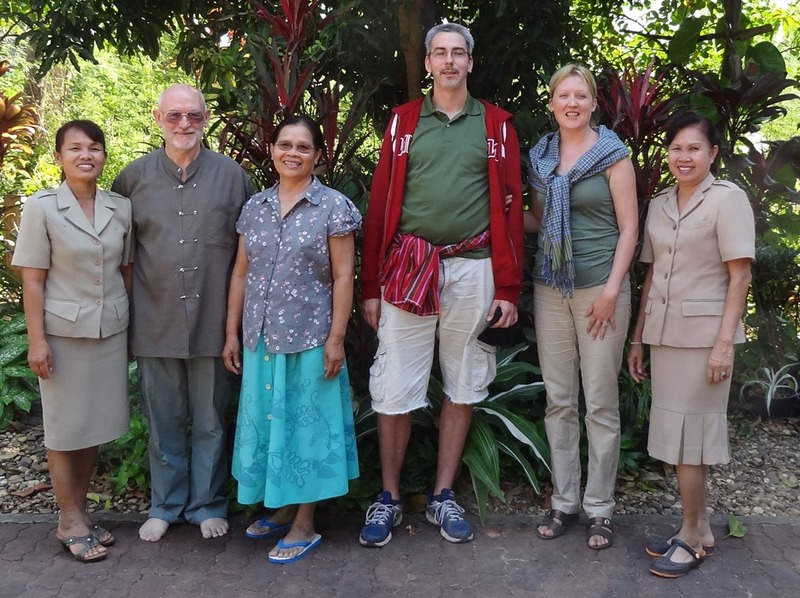 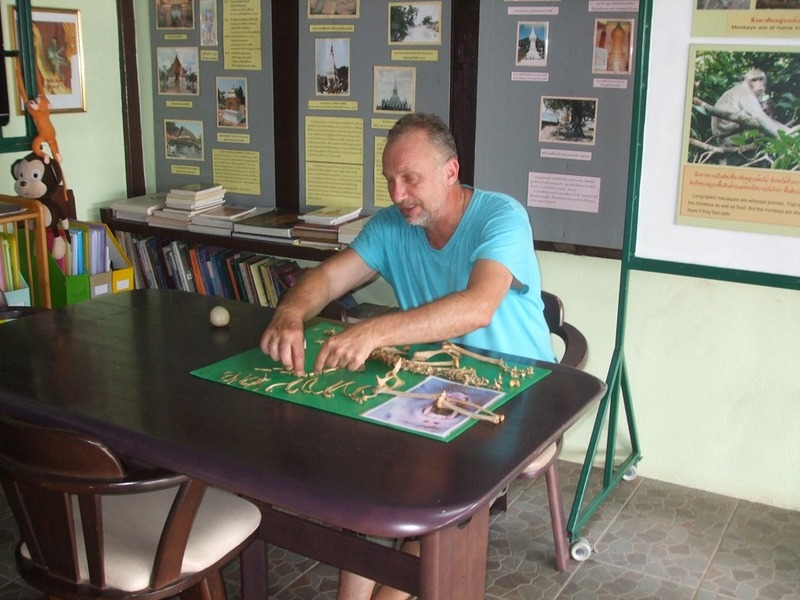 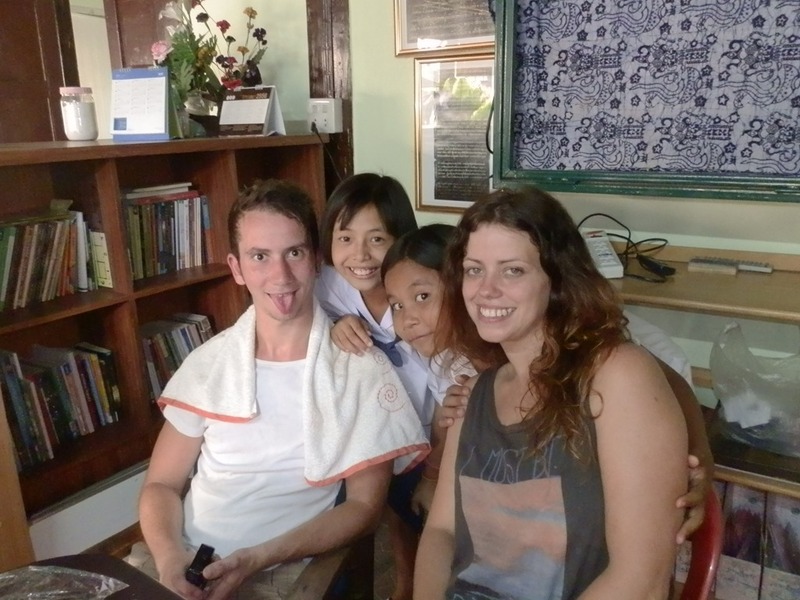 Our first volunteer arrived on 3rd January 2013 and he stayed with us a month. 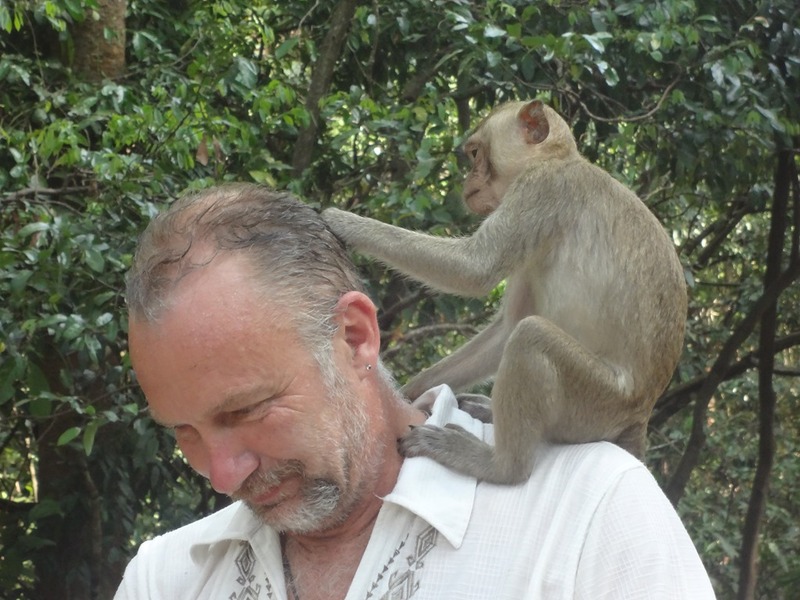 Yiannos spent all day and everyday in the forest, completely absorbed in the life of the monkeys. 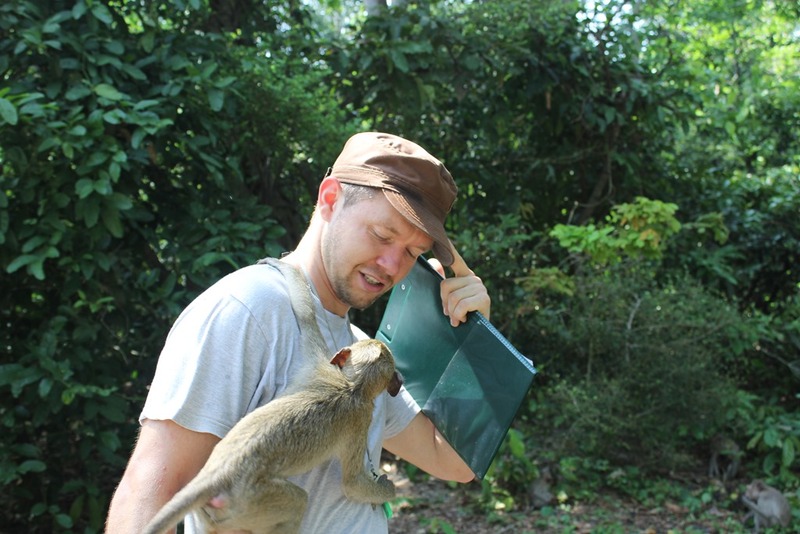 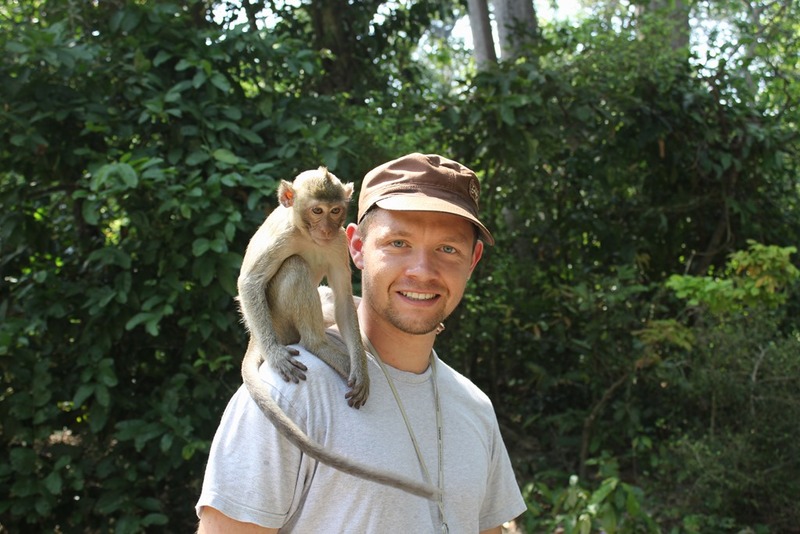 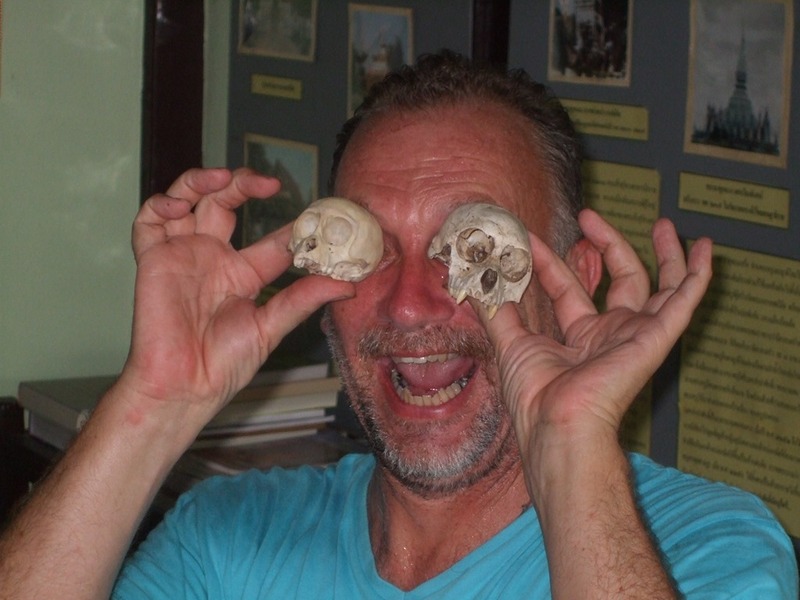 He left us with some valuable information about dysmorphic monkeys (about nine of them, old females mostly but also some younger ones as well as two males) and injured monkeys. 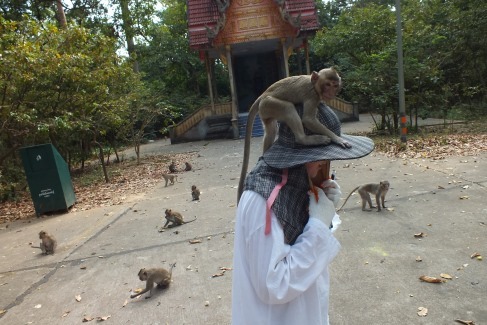 But no photograph of himself. 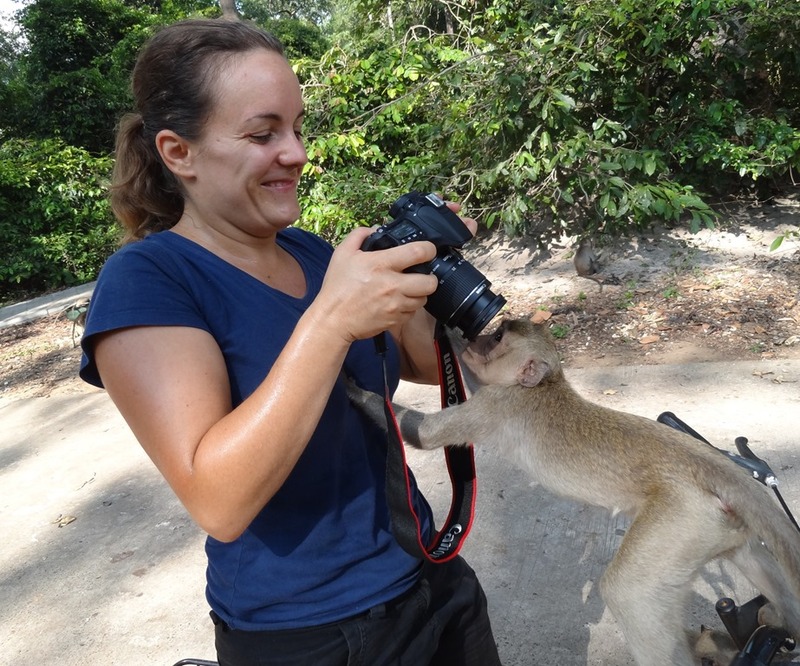 The Little Friendly Monkey (LFM) got to know many of the volunteers who came after Steve and Sarah. 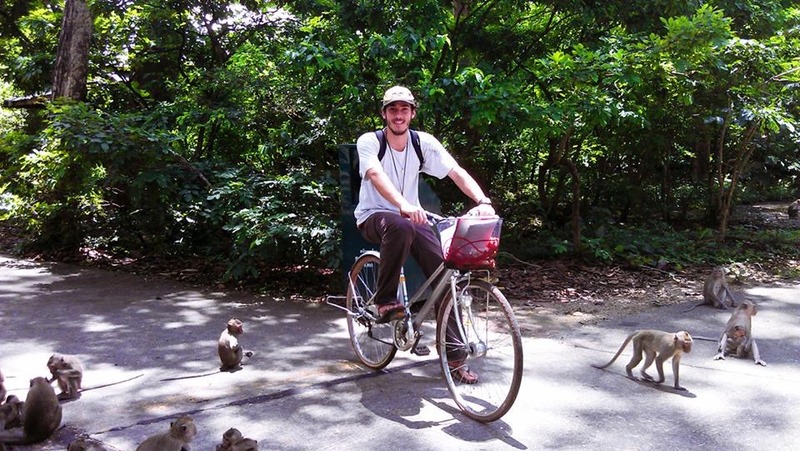 Felipe spent several weeks tracking a troop of monkeys and you can see his research paper above. 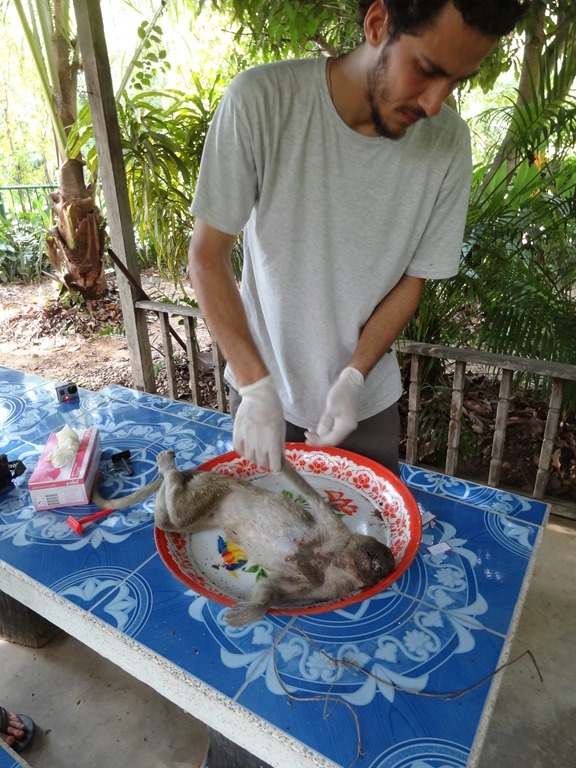 But first he conducted an autopsy on a female monkey that had been found recently dead only an hour or so before he arrived. 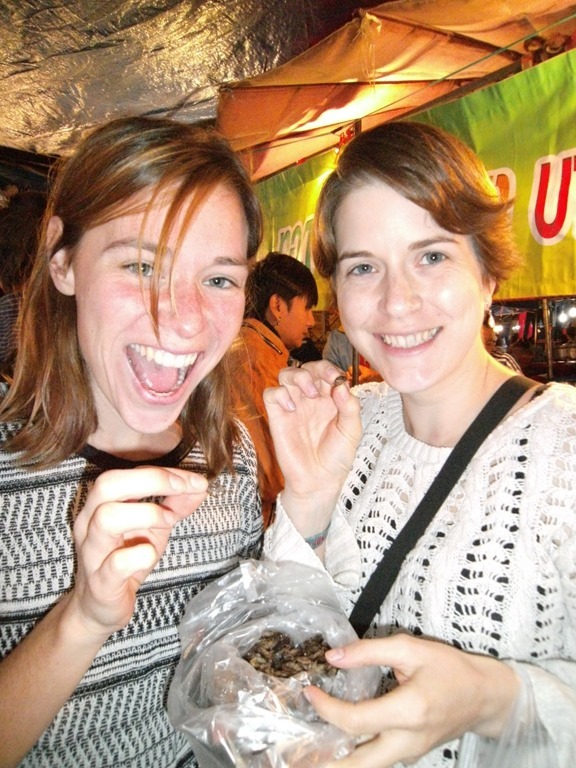 And for Tessa and Julia, these fried crickets were, too! 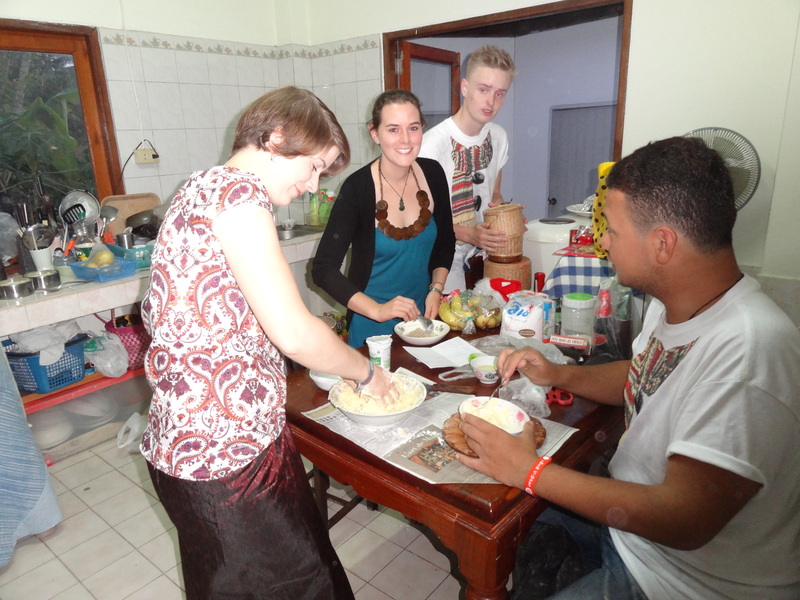 At CHRISTMAS 2013 Pensri and Lawrence were joined at home by Julia, Lydia and Tessa and by the two Project Trust volunteers Cameron and Kevin. 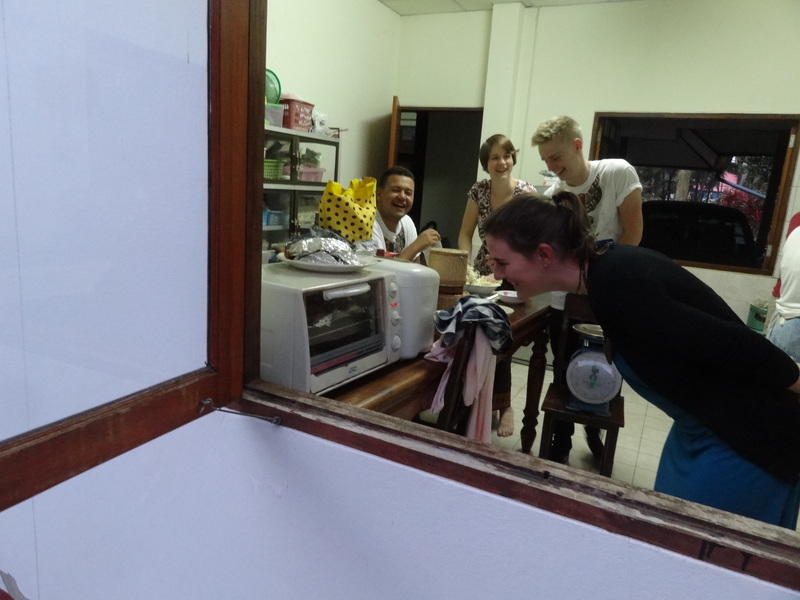 The kitchen was very crowded indeed! 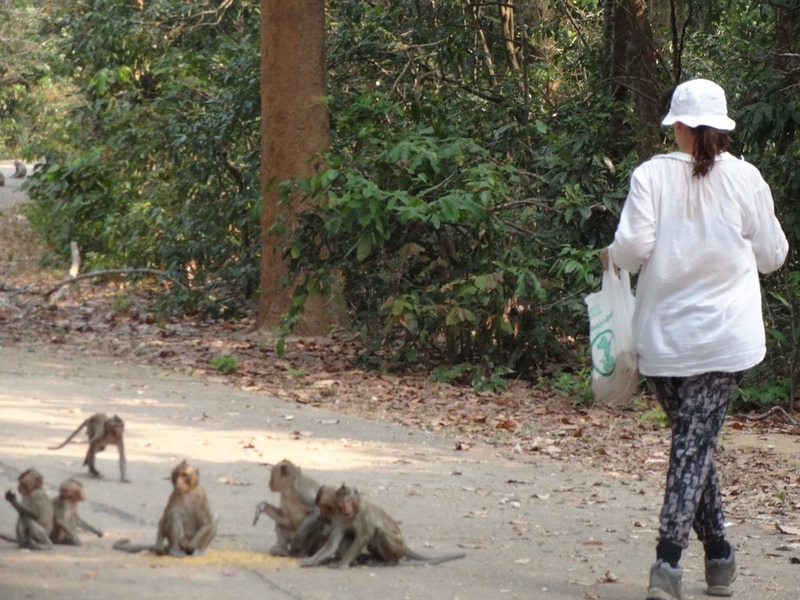 and we counted them, followed them, watched them, photographed them, picked up litter after them … and loved them! 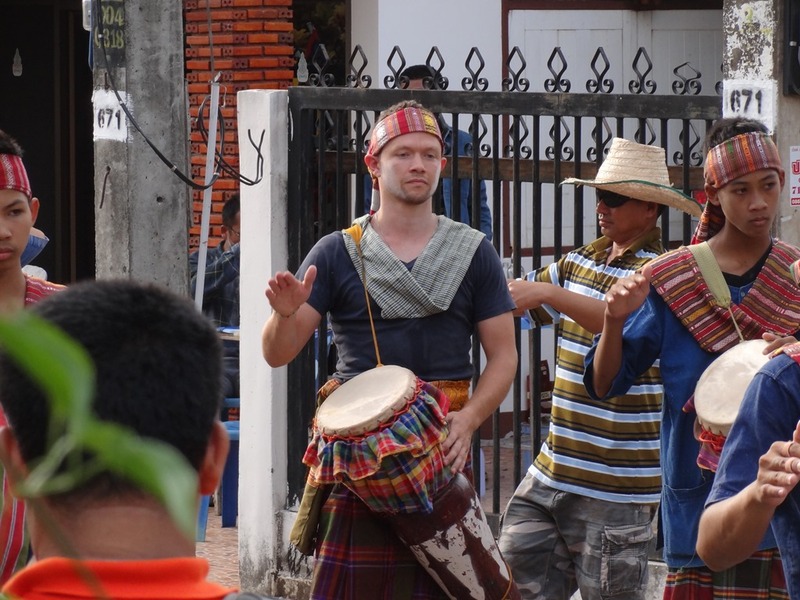 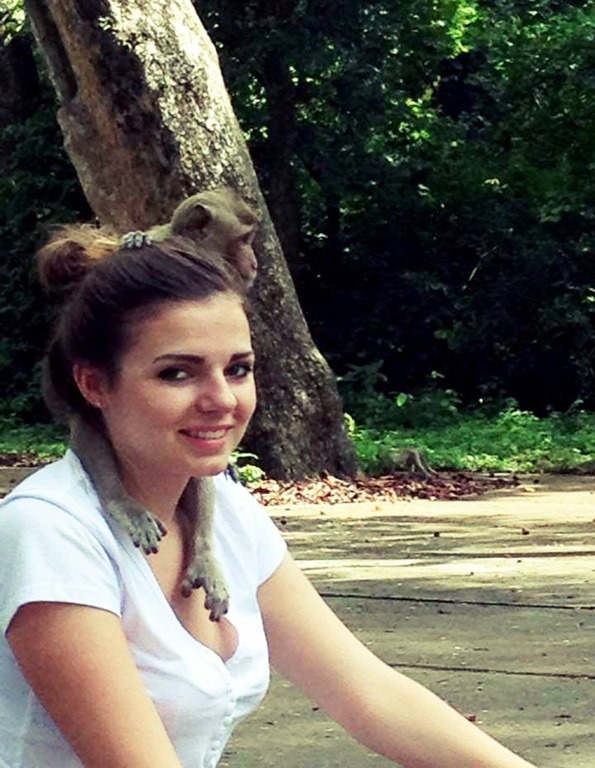 But maybe the two outstanding memories of 2013 have nothing to do with the monkey forest, but everything to do with music. 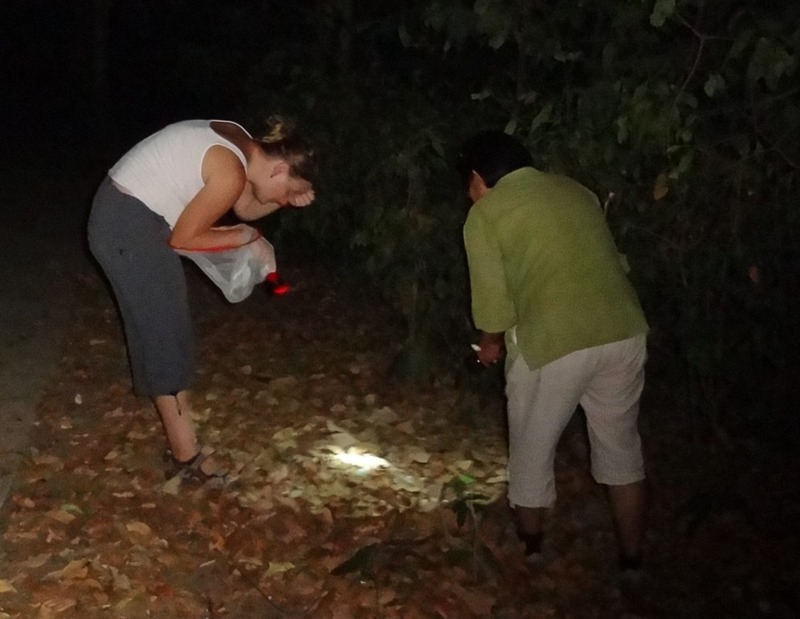 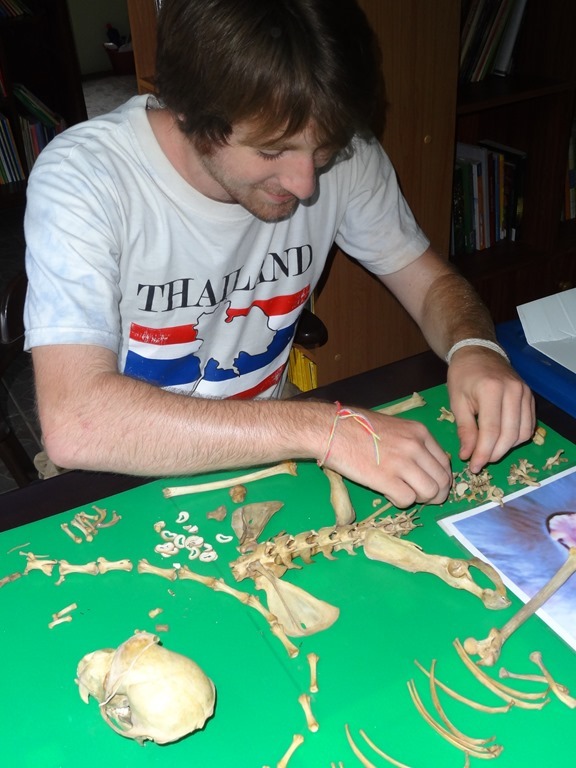 Phana Monkey Project would like to thank all the researchers and volunteers who have helped us so much throughout 2013. 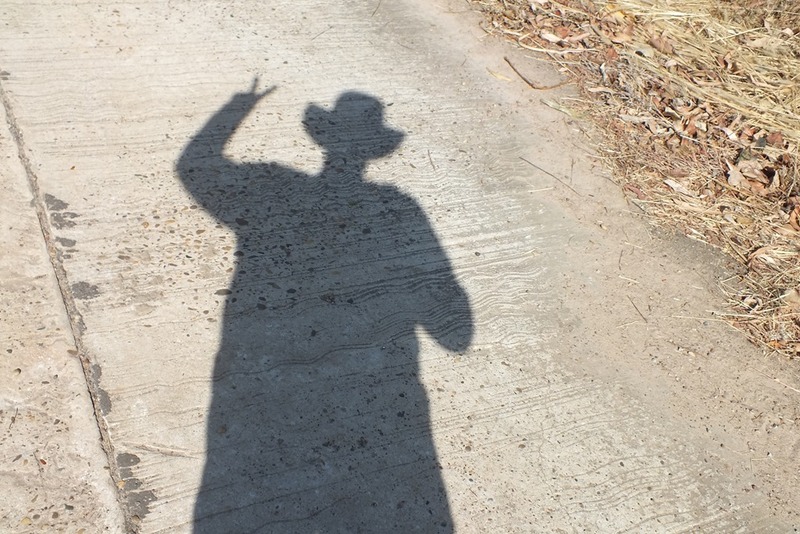 And most of all we thank you for your company — we have enjoyed ourselves this past year and we hope you and our readers have done so too. 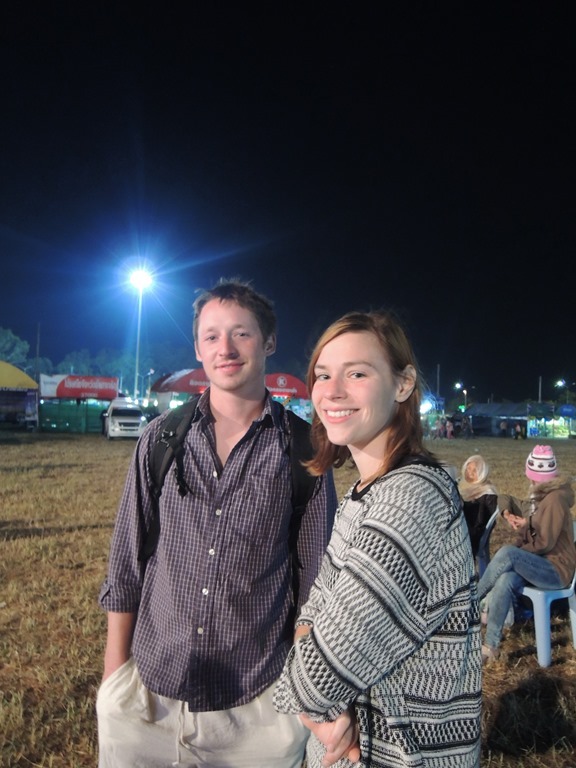 Good luck to you all in 2014!